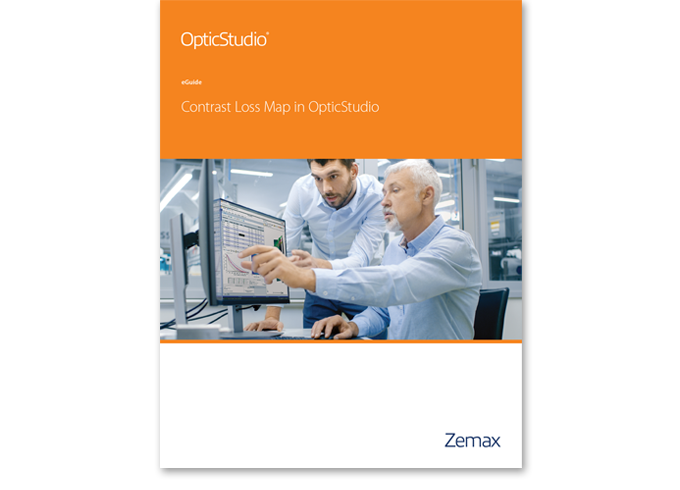 Contrast Loss Map is a feature in OpticStudio that provides an easy way to understand how contrast varies or is lost in an optical system. 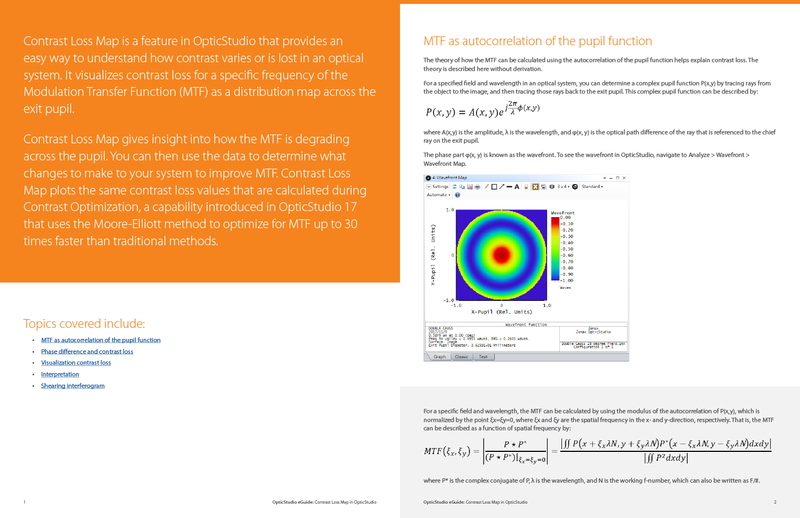 It visualizes contrast loss for a specific frequency of the Modulation Transfer Function (MTF) as a distribution map across the exit pupil. You can then use the data to determine what changes to make to your system to improve MTF.